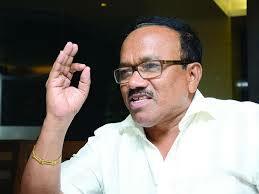 Chief Minister Laxmikant Parsekar has said people of Goa can send the BJP home in the forthcoming election for getting ‘red’ category industries to Goa to create employment is wrong on their part. Goa government has created three categories, out of which red category are the pollutant industries, which are not allowed in Goa. The issue came up in the Assembly today in view of the Investment Promotion Board approving an alcohol and brewery plant at Amdai in Sanguem. 1) The alcohol industry falls in the red category of Goa government. 2) The alcohol industry is also not part of the thrust areas, which the IPB deals with. Though the alcohol and brewery plant of Vani Agro Farms Pvt Ltd does not fall in the category IPB deals with, CM Parsekar, who is also the IPB chairman, said it was approved as it would create 500 jobs for the locals. “We have not approved the industry to satisfy the opposition members but the people of Sanguem, who have lost their jobs due to closure of mining”, said Parsekar. While dismissing opposition’s allegation that locals are opposed to the pollutant plant, industries minister Naik said the IPB approved it because the Goa State Pollution Control Board had cleared it. Former chief minister Digambar Kamat reminded the House that once Goa government had allowed steel rolling mills in a similar manner, where no Goan sought a job due to heavy pollution. He also asked whether the land was marked as the industrial zone in the Regional Plans of 2001 as well as 2021, only after which industry could be set up there. Though Naik did not reply to this, his written reply stated that the IPB had directed the town and country planning department to convert the orchard land into industrial zone. Congress legislator Alex Reginald Lourenco, who primarily raised the issue, asked whether the government would allow cutting of hundreds of coconut trees in this land. Supporting his contention, independent MLA Vijai Sardesai alleged the Preservation of Trees Act was amended in order to cut coconut trees for this alcohol and brewery industry, worth Rs 110 crore. Naik said Vani Agro will have to seek permission from the agriculture department to cut coconut trees, if required, as per the budgetary announcement made by the CM yesterday. Both the CM as well as the industries minister were also supported by Sanguem MLA Subhash Phaldesai and Curchorem MLA Nilesh Cabral to allowing the red industry by the IPB, which does not come under the thrust areas of the Investment Policy. as per information provided by GSPCB ,no EIA & EC report available for the project.that means without EIA how they issued consent to establish.NO public hearing held.GSPCB has given approval based on HPCC approval.Area zoning is agricutral & orchard as per rp 2001&2021.govt issed notification ondated 21/12/2015 converting 124000 sq mts as investment promotion area without inspecting site,without consuting local tribal community.sanguem muncipal council chief officer issuses N O C without passing resolution in council meeting that means by- passing elected councilors. our cm says it is in public interest. such red cat industry can be permitted in industrial zone not in residancial area.not by cuting 1000cocnut&cashew trees not by distoring the future of tribal community. not at the cost of uguem river. Mr. Chief Minister common man is tired of you and of your government you bring red or yellow nothing will work common man anyhow have already pack you’ll they are waiting to ballot new party the face of Goa.